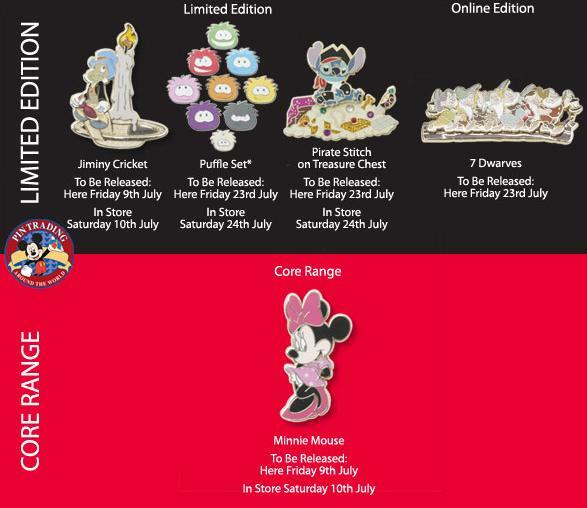 Here is a round up of the Trading Pins scheduled to be realsed by the Disney Store in July. The Limited Edition pins to be released this month included a Stitch Pirate pin and Jiminy Cricket pin. July sees the first Club Penguin pins with a Puffle pin set of Limited Edition pins released. This months Online Edition pin features all of the The Seven Dwarfs, while Minne Mouse appears to be the only Core Pin that will be released in July. Happy pin trading everyone one. 2010 World Cup fever has spread to Disneyland Paris with the New Generation Festival characters preforming The Diski Dance on The Royal Castle Stage. The football themed Diski Dance features five South African football moves which have been combined into an energetic performance with the Disney characters dancing to the rhythm of the South African music. Parade performer injured during Once Upon a Dream Parade. This Monday at Disneyland Paris during Disney’s Once Upon a Dream Parade there was an incident in Fantasyland which injured one of the parade performers. 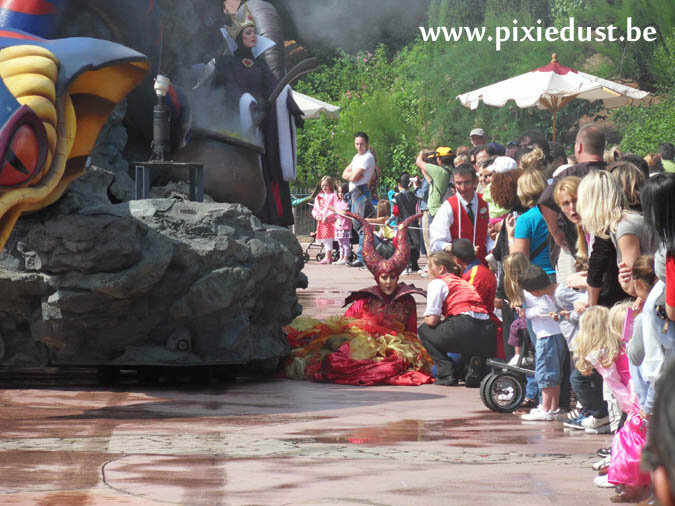 The Cast Member playing Maleficent on the ‘Dreams of Power Float’ (a parade vetrain of seven years and one of the orignal Maleficent’s) fell from the float backwards landing on her neck, after her harness and seat structure snapped in half sending her crashing to the grownd. After five minuets she was able to get-up and walk off the parade route and backstage, without her usual dose of “force and power”. But still snarling at guests of course, many of whom were still asking for autographs and photos!! The parade was rushed through afterwards with the rather sad looking power float looking not so powerful! The float returned to the Parade yesturday but without Maleficent. It is not yet clear if or when she will return to the float. Some Disney Magic arrives in Dover. 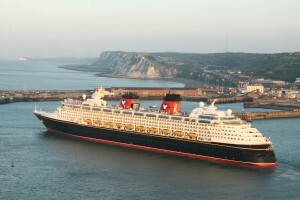 Here is a photo of the Disney Magic cruise ship as she sails past the White Cliffs of Dover on the 12 June after departing the Port of Dover as part of the Disney Cruise Line’s first Northern European Capitals sailing of 2010. This is the first time a ship from the Disney Cruise Line has visited the United Kingdom. She will be back at the Port of Dover on the 24th June, 6th July and 18th July. Captain EO has returned to Disneyland Paris. Michael Jackson fans from all over Europe descended upon Disneyland Paris yesturday (12 June 2010) for the reopening of The Captain EO attraction. The attraction was offcially reopened by Walt Disney Imagineer Tom Fitzgerald. Guests and fans who wished to attend the first shows had to collect a special bracelet which were available from 6 am that morning. Lots of Disney and Michael Jackson fans showed up, many dressed up for the occasion. The 3D film which stars Michael Jackson closed in 1998 to make way for Honey, I Shrunk the Audience. 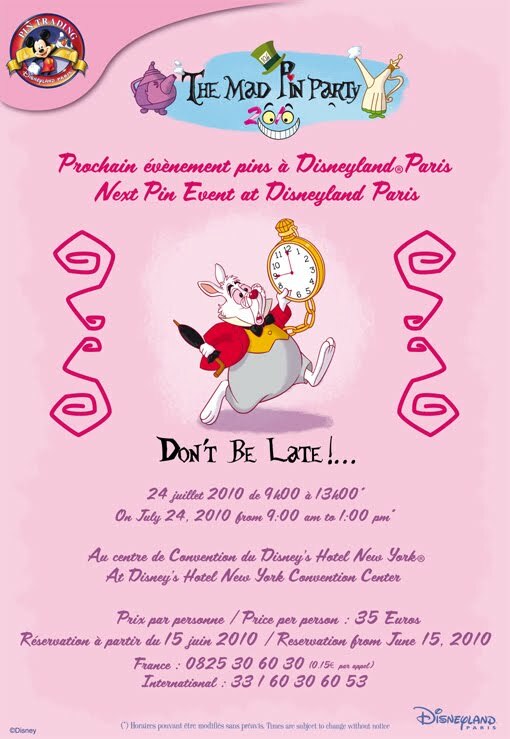 Disneyland Paris will go Pin Trading Mad on the 24 July 2010 when it hosts The Mad Pin Pary at the Hotel New York Convention Center. The event will be held between 9am – 1pm and tickets cost 35 Euros. You will be able to register for tickets from the 15 June by calling (33) 1 60 30 60 53. 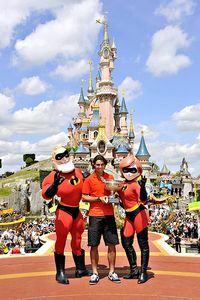 He was joined in front of Sleeping Beauty’s Castle along with the Incredibles. It was the fifth French Open title for Nadal at Roland Garros, achieved in only six years. Only Bjorn Borg, with six French Open championships, has won more. The silver-haired Swede turned 54 on Sunday; you have to wonder whether this time next year, he’ll have company in the record book.